As some of you may know, JJRC has produced hundreds of quad rotors and flying cameras over the past two years, and now they’ve entered into the world of FPV racing as well. Their first entry “under the new brand name JJPRO” is the P200. This aircraft is meant to be a competition racer. It has the same X frame layout and lack of landing gear as you see on aircraft racing at the D1 invitational. Those guys don’t mess around, and if you’re going to hang with the big boys, you need an aircraft that doesn’t mess around either. Unfortunately, that’s where everything falls apart for the JJPRO P200—it does nothing but mess around. That’s not necessarily that bad, and they did work hard to produce this aircraft, but I had a few issues with it. Most of the aircraft produced by JJRC are low-cost toys with high margins. They aren’t necessarily bad, but they certainly do know how to save a few bucks on production costs. That being said, they also know how to make creative aircraft, and they are more than willing to improve designs based on customer feedback. So I may say a few negative things, but I say them knowing that JJPRO is listening and willing to do better. So that being said, let’s get started. This aircraft is a racer and nothing more; it’s not designed for smooth, relaxed flying but instead is designed to go full speed. The version I tested was the ARF version, so I had to supply my own receiver and had to program the aircraft myself. The FPV camera on the aircraft is an 800 TVL camera that provides a decent picture, but I had serious range issues—so serious that I couldn’t fly it more than 100 feet without the signal cutting out altogether. I tried multiple antennas and multiple flying locations, but the FPV range issue didn’t go away and was a deal breaker for me. If you can’t see where you’re going, then you are going to crash. The issue could have simply been a wiring issue or a bad video transmitter, but I didn’t enjoy flying the aircraft enough to invest the time into figuring out how to fix the video issue. I find it hard to believe that anyone could race with such a bad video signal, so maybe I just got a defective sample. That being said, the other issues I had were also just slight annoyances. I’ve programmed a quad rotor or two, but I had a few issues calibrating the speed controllers on this one and had to do it manually. I also had a hard time with the ny-lock nuts. They were way too tight and couldn’t be used to hold the rotors on; this is an issue that JJPRO is aware of, and I’m sure they are correcting it. I didn’t have any issues installing my receiver. I literally just plugged one cable in and it was connected. It also has an easy-to-assemble camera stand for attaching your GoPro or another similar DVR. Static-filled video is not good for TV however, so you will need a second camera to record the action. Almost every professional drone racer has a nice HD camera on the top of the racer so an editor can make good videos of the race for broadcasts. The P200 looks the part of a professional racer because it has the X frame, the tall centered mass, and the layout that is popular among professional pilots. This layout gives you a lot of speed and control when done properly. The aircraft also sits on the battery because it has no landing gear, which is another common feature among racers. The rotors come in camouflage paint schemes, and somehow they are able to make this look good. The body is made from carbon fiber, and the motor mounts are plastic; it also has a CF frame that you can put on the top to hold your HD camera. It’s a reasonably durable aircraft, but I haven’t had any major crashes with it, so I don’t know how well the motors or speed controllers handle hard impacts. Otherwise, it doesn’t seem to be extremely fragile. The battery compartment could use some improvements however—at least a piece of Velcro on the bottom to hold the battery in place and keep it from pressing into the screws in the main plate. The aircraft was tightly packed in foam, and the box was small and double labeled: one side with a label for the P200 and the other side with a label for the slightly smaller version of the aircraft. It saves on production costs. I had a few issues with some of the included components, like the ny-lock nuts. Even with two sets of pliers, they couldn’t be tightened enough to keep the rotors from spinning freely. This isn’t a problem you’re likely to encounter in the future; JJPRO is aware of the issue and will probably include spacers or different nuts. I used a set of nuts from another racer, and they worked fine as the parts compatibility is good. I had to install a receiver, so I pulled a flysky IA6 receiver from another racer and installed it in a few minutes. I also had to program the aircraft, which involved installing Google Chrome onto a computer and installing the Cleanflight add-on. Once you’ve installed the Cleanflight add-on, you can plug the aircraft into your computer with a USB cable and quickly access everything you need, such as speed controller calibration, motor and flight control settings, and a transmitter setup wizard. 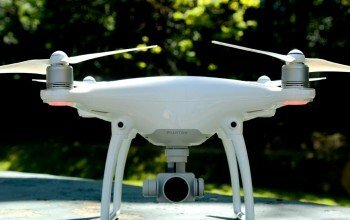 I didn’t have any issues with the setup, and the software and hardware combination offers a wide variety of easy-to-change flight configurations. If you get the RTF version, you won’t need any special tools, but if you get the ARF version, you’ll need a computer, a transmitter, and a receiver. You should be able to set up the ARF version in less than an hour. I didn’t receive a manual with the version I tested, but I assume it is still being translated; hopefully that means they are taking the time to make it good. Out of the box and with no special tuning, the aircraft flew fine, although it was nothing special. It was a little fast but did not have a lot of quick maneuverability. If I wanted to fly through an obstacle, I had to do it pretty slowly. Maybe with better programming I could fly through obstacles faster, but the fault may lay with the pilot rather than the aircraft. I do have racers that can fly through obstacles faster, so I’m leaning more towards the aircraft. Better programming and a few hardware upgrades would really help. The main problem I had, and this is a big one, is video reception. When you’re flying an FPV racer, your video signal is your lifeline; if it cuts out, you crash. And the video reception was appalling; it was so bad that I am inclined to believe it was caused by a bad connection in the video transmitter. The video would drop out for seconds at a time. I tried multiple flight locations and antennas with no luck. I highly doubt that JJPRO designed it like this, so I think replacing the video transmitter might be in order. You can program multiple flight modes, from relaxed to full acro 3D. Cleanflight makes it easy, and it’s a good program to learn from. It is designed for professional racers, but I also used it as a training aircraft for a brand new FPV pilot. It survived the encounter with very little damage and gave them a good idea of what to expect when they got a racer of their own. Ideally, this aircraft is for a serious racer who wants to modify everything about their aircraft. On the negative side, it’s going to be a steep learning curve for a new pilot or someone who doesn’t like to tinker with electronics. I ended up using a common FS I 6 transmitter and receiver with no trouble. Your options are pretty wide open when it comes to transmitters and receivers. The aircraft has no telemetry, but it does have a load low voltage speaker on the aircraft. The camera doesn’t look bad when the aircraft is sitting still or when it is flying close to you, but the video transmitter was so bad during flight that it would make any camera look bad. I’m proud to see JJRC getting into racers as JJPRO. They certainly tried to go full throttle with this entry, but I think they went a little too fast by rushing it to market. I do believe that with a little work, a little tinkering, and a few upgrades, you could get some serious performance out of this aircraft. However, I also believe that you can get a better FPV experience at a better price with something else.